Planning to transfer to another school? Our goal is to provide you with the resources you need to make your transition to the next step in your future as smooth as possible. The flexibility of SFCC programs and courses allow students to transfer their credits to many four-year colleges and universities. If you are planning to transfer to a different school when you have finished at SFCC, it is helpful to know which classes you will need to take for your intended degree. 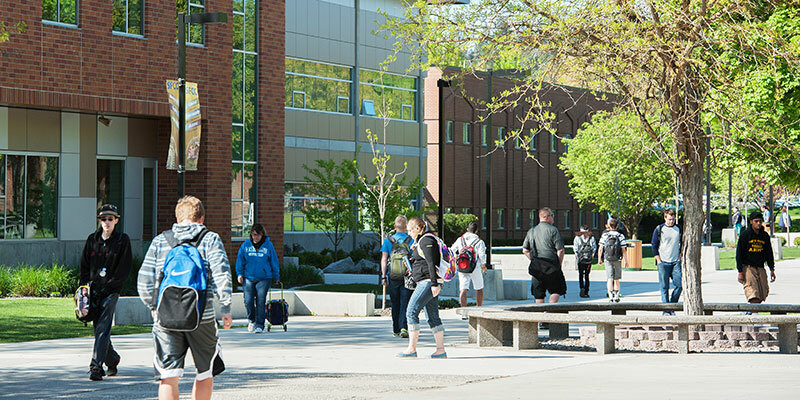 Eastern Washington, Washington State, Gonzaga, Whitworth, and Washington Governors University admissions representatives and faculty from various departments are available by appointment on a scheduled basis from September to June. The SFCC Transfer Center is located in Building 17 (SUB) Room 127. Loren Pemberton, a Transfer/Academic Counselor, is located in the Center and appointments can be scheduled by calling 509-533-3503 or the Counseling office at 509-533-3525.